The Month in Scripture and the Sabbath day. When is the Sabbath Day? Saturday? Sunday? Some other day? Presented here are items which are found in scripture which show where the Sabbath day is located. Some may wonder why I am looking at this as it should be common knowledge? The reason is that many just assume that the Sabbath day is what they have been taught. But have you ever taken the time to investigate it for yourself, by viewing the text in the Scriptures? Did you know that the month in the Scriptures is not based upon the same month you and I use today? The month presented in the Scriptures is not a Gregorian month (the calendar system we use). It is a month based upon the moon and the cycles it goes through (in fact the word month comes from the word moon). Most people, however, have never heard of this however. They understand the Gregorian Calendar (the current calendar we are all using) as was this calendar they have grown up with. When you view this calendar, you realise just how complex a calendar it actually is. It has varying days in different months which need to be learnt which changes anywhere form 28 days to 31 days. I have heard many people say: “Elohim would not provide with a calendar which is confusing”. Yes, I agree. But have you considered that this is exactly what the Gregorian calendar system is? It is not tied to nature in any manner but the light from the sun. We all understand the Gregorian calendar as we have grown up with it. The calendar presented in the Scriptures is even simpler than the Gregorian calendar. You do not need to memorise different month lengths as it is all tied to the cycle of the moon. But why would Elohim provide us with a Calendar which was tied to the moon? We all know the beauty of this world. We understand that Elohim created all things. Some of the items he has created are extremely complex – beyond our understanding – whilst others are simple. It is seen that Elohim thought of this as well when he was looking at how we would calculate time. He wanted a system that no matter where in the world you were living, or what time in history you were living in, the calendar would be able to be worked out. Elohim’s calendar continues to this day from the day it was set up in Genesis. The moon allows anyone to work out where the Sabbath days are and it doesn’t matter when you were born or where you live. The sun gives its light for the day, and the stars shows us signs of the years. Using a calendar based upon the moon also prevents us from worshipping on different days. You see we currently use the international date line – an imaginary line which goes from the top of the world to the bottom – which divides one Gregorian calendar day from another. If we were on the exact opposite side of the globe from where this timeline is, and we both had Sabbath on the same time using the Gregorian Calendar and then one headed east and the other headed west, by the time we reached the other side of the globe, one person would be having his Sabbath one day ahead of the other, even though they were side by side, just separated by an imaginary time line. This is a result of using a man made date line. The function of the sun, moon and stars however avoids this issue entirely. If you are using Elohim’s calendar which uses the Moon to dictate the months, this does not occur. In this case when one person travels west and the other travels east both people would end up worshipping at the exact same time as they met again on the other side of the world. So if the Scriptures used months based upon the moon to work out his Sabbaths, why are we not using it today? Surely someone would have noticed this and corrected it? The appointed times and Sabbaths to be forgotten in Zion. This indicates that time will be changed (As seen in the sign in Revelation 12 and the in Matthew 24:22 and Mark 13:20). It appears when one views the scriptiures and compares it to the calendar system we are using today, that this has already occurred and may occur again. So how can one find out when the Sabbath day is? Should we use history? My view is no. History is littered with errors and opinions and as such, it cannot be viewed with any accuracy. The only accurate way I can see to work this out is from the Scriptures themselves – the source. By looking at the word used for Sabbath in the Scriptures and see what days it appears upon seems like the simplest and fairest way to do it. When the Scriptures refers to the month, it literally refers to the count from the last new moon. When it talks of the week, it talks about the day of the week, which is different to the day of the month which I will also show below. How was the month structured in the Scriptures? The Scriptural month is different to our Gregorian month. The Scriptural month goes from the first sighting of the new moon to the next thus the date line is dofferent already. The Scripture presents the days of the month starting at day 1, which is known as new moon day. It then starts the weekly cycle at day 2 (proof of this is provided later). It then goes through from day 2 to the Sabbath day on day 8 (7 days). Then it cycles again from day 9 through to the Sabbath on day 15 (7 days), day 16 through to the Sabbath on day 22 (7 days) and the final week which goes from day 23 through to the Sabbath day on day 29 (7 days). Depending upon the month, there may be a single day remaining. This is because the Lunar Cycle is approximately 29.5 day long. It never mentions that the Sabbath and the New moon Days overlap. Where are the examples in scripture which show where the Sabbath day is located? The following example is done over a two month period and is straight from the Scriptures. 1. The Passover and the Appointed time of Unleavened Bread. This is the first month of the year as presented in Exodus when Moses led the Israelites out of Egypt. 3 Speak to all the congregation of Israel, saying: ‘On the tenth of this month (new moon) every man shall take for himself a lamb, according to the house of his father, a lamb for a household. 6 Now you shall keep it until the fourteenth day of the same month (new moon). Then the whole assembly of the congregation of Israel shall kill it at twilight. 7 And they shall take some of the blood and put it on the two doorposts and on the lintel of the houses where they eat it. This is the evening of the Passover. What is the Passover? 12 ‘For I will pass through the land of Egypt on that night, and will strike all the firstborn in the land of Egypt, both man and beast; and against all the gods of Egypt I will execute judgment: I AM Yahuwah. 13 Now the blood shall be a sign for you on the houses where you are. And when I see the blood, I will pass over you; and the plague shall not be on you to destroy you when I strike the land of Egypt. The Passover was the evening where Yahuwah past over those who had marked their homes. Leviticus 23 then goes on to talk about the Appointed time of Unleavened Bread. 18 In the first month, on the fourteenth day of the month (new moon) at evening, you shall eat unleavened bread, until the twenty-first day of the month (new moon) at evening. So we know that the 15th day was a holy convocation and the seventh day after that was a holy convocation, which was the 21st day. This is just before the 22nd day which would be a sabbath day if the 15th day was a Sabbath day. So can we show that the 16th day was the first day of the week then? 1 Now when the Sabbath was past, Mary Magdalene, Mary the mother of James, and Salome bought spices, that they might come and anoint Him. 2 Very early in the morning, on the first day of the week, they came to the tomb when the sun had risen. Now on the first day of the week, very early in the morning, they, and certain other women with them, came to the tomb bringing the spices which they had prepared. 2 But they found the stone rolled away from the tomb. Here are three different verses which all show the first day of the week was the day after the 15th. Something I wondered was how did they travel if this was not to be done on the Sabbath. 1 Observe the month of Abib, and keep the Passover to Yahuwah Elohim for in the month of Abib Yahuwah Elohim brought you out of Egypt by night. So they came out of Egypt by night. But what other evidence do we have that the 14th day was the sixth day of the week? So Preparation day was the day of Passover. So here we also see that the day after Passover (the 15th of the month) was a Sabbath day. The Sabbath day is the seventh day of the week, making passover the 6th day of the week. It is interesting to note that this Sabbath is what is called a High Sabbath. These Sabbaths are ones which start an appointed time. How can we see from one month to another through the Scriptures though? The following shows how we know that the weeks started on the second day of the month. To do this we will look at what the disciples of Yahshua did when the traveled from Philippi to Troas. 6 But we sailed away from Philippi after the Days of Unleavened Bread, and in five days joined them at Troas, where we stayed seven days. 7 Now on the first day of the week, when the disciples came together to break bread, Paul, ready to depart the next day, spoke to them and continued his message until midnight. So we already know that the bays of unleavened bread ended upon the 21st day of the month as we have seen above. If they traveled for five days this takes them from the 22nd day up to the 26th day. i.e. 22nd, 23rd, 24th, 25th, 26th (five days). Then it says they stayed seven days, which brought them to the first day of the week. i.e. 26th, 27th, 28th, 29th(Sabbath), 30th(Translation day), 1st (New Moon Day), 2nd – Which is the first day of the week and brings us to the second month. During the second month The children of Israel complained that they were hungry. On the evening of the fifteenth, Yahuwah sent quail to them after the sacred hours were over. 12 “I have heard the complaints of the children of Israel. Speak to them, saying, ‘At twilight you shall eat meat, and in the morning you shall be filled with bread. And you shall know that I AM Yahuwah Elohim.’” 13 So it was that quails came up at evening and covered the camp, and in the morning the dew lay all around the camp. And on the morning of the sixteenth day he provided them with Manna. 14 And when the layer of dew lifted, there, on the surface of the wilderness, was a small round substance, as fine as frost on the ground. 15 So when the children of Israel saw it, they said to one another, “What is it?” For they did not know what it was. And Moses said to them, “This is the bread which Yahuwah has given you to eat. And the people were provided with manna for six days and on the sixth day they were provided with twice as much so it would last them through the Sabbath day as there was to be no work done on the Sabbath day. 27 Now it happened that some of the people went out on the seventh day to gather, but they found none. 28 And Yahuwah said to Moses, “How long do you refuse to keep My commandments and My laws? 29 See! For Yahuwah has given you the Sabbath; therefore He gives you on the sixth day bread for two days. Let every man remain in his place; let no man go out of his place on the seventh day.” 30 So the people rested on the seventh day. So from the information above we can see for two months in a row that Yahuwah provided the Sabbath days on the 8th, 15th, 22nd and 29th days of the month. Forty years after the heavenly manna had been sent by Yahuwah to feed the Israelites during their time in the wilderness, it ceased. Moses had now died and Israel was now under the new leadership of Joshua. On the sixteenth day of the first month, (day one of the second week) the Manna forever ceased. The Passover was on the 14th day. The Sabbath of unleavened bread started on the 15th day and they ate of the land on this day. The manna then ceased on the day after they had eaten of the land. The 16th day. 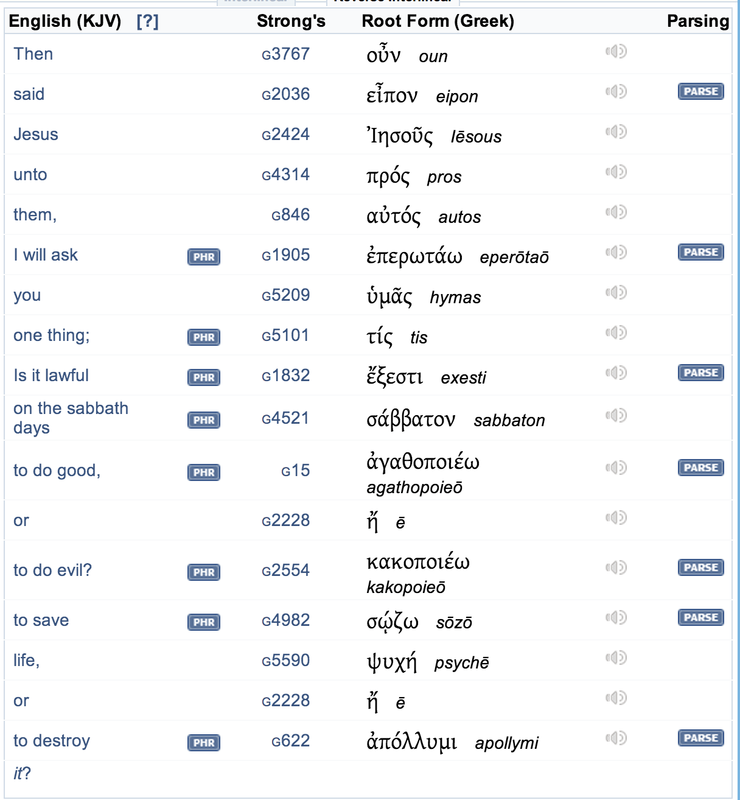 What about the Hebrew and Greek words used which are translated to “Sabbath”? I mention this as some people seem to think that the appointed times and the Sabbaths were not held upon the same day. To check this we need to find out what words were used in the Scriptures for the Sabbath day and for the Appointed times. The ten commandments would seem the best place to get the original word for Sabbath so we can ensure we are looking for the correct day in scripture. 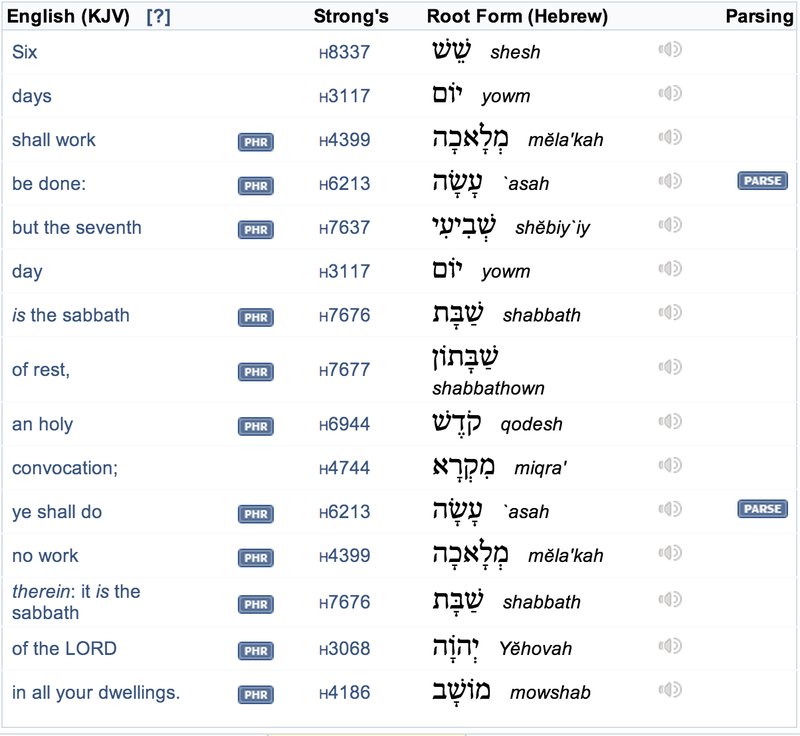 Sabbath here is the original word “shabbath” (Strong’s H7676). 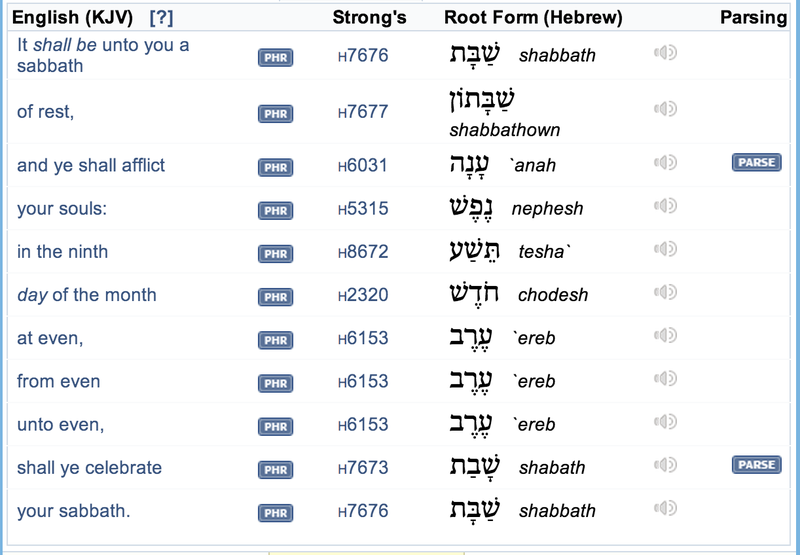 So far I can see that the word used for Sabbath is “Shabbath”. So I have my first precept. 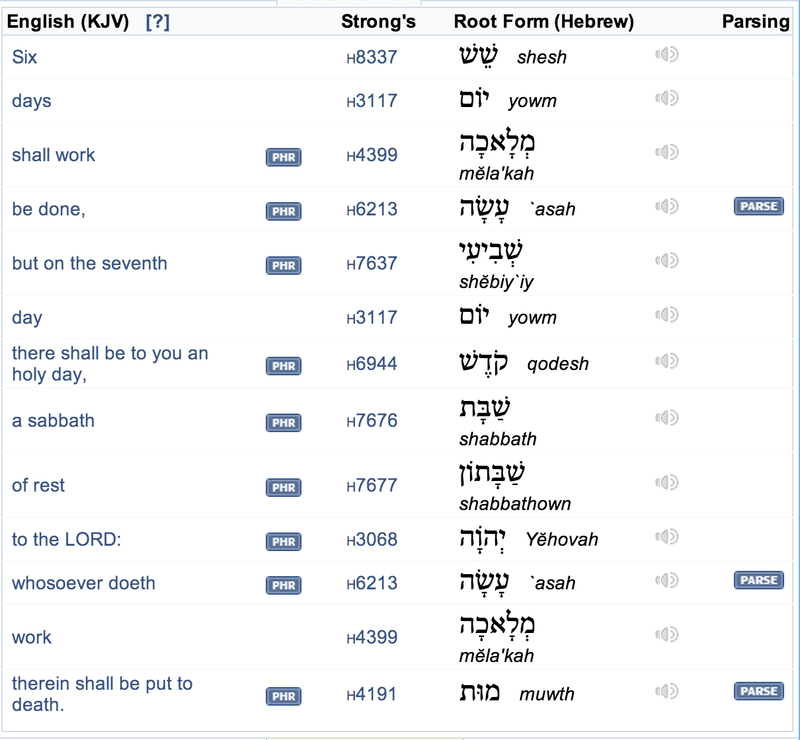 The word used for the Sabbath day is in scripture was “Shabbath”. 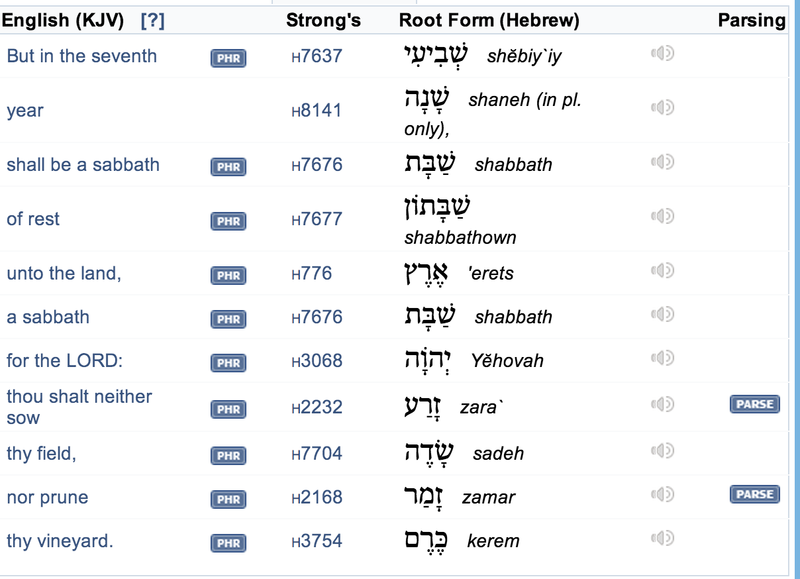 The other word used for many of the appointed times is Shabbathown (Strongs word H7677). From what is written in scripture however – the word Shabbathown is inclusive of the Sabbath, not exclusive as others might suggest. If the word Shabbathown was is to be used to indicate it was an exclusive date from the Sabbath, one would expect this to be indicated in scripture. So where is it used then? 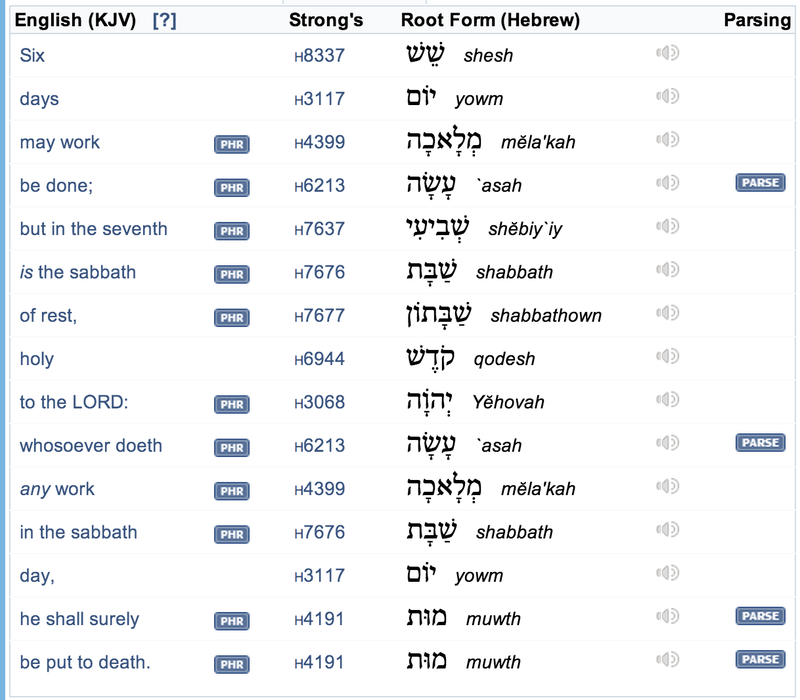 In each section below, you will find it talking about the Sabbath and it uses the word Shabbath. Importantly it also uses the words “of rest” which is the word “Shabbathown”. Exodus 31:15. Here in verses 12 – 17 it talks about the Sabbath Law. Leviticus 16:31 uses it. Here they are talking about the Day of Atonement. Leviticus 23:3. Here it is just talking of the Sabbath day. Leviticus 23:32 uses it. Here it is talking about the Day of Atonement. Leviticus 25:4 uses it. Here it is talking about the Sabbath of the seventh year. Here a single word represents both types of days indicating the inclusive nature of the Sabbath day. Where else are the Sabbaths found? 33 Then Yahuwah spoke to Moses, saying, 34 “Speak to the children of Israel, saying: ‘The fifteenth day of this seventh month shall be the Appointed time of Tabernacles for seven days to Yahuwah. 35 On the first day there shall be a holy convocation. You shall do no customary work on it. 36 For seven days you shall offer an offering made by fire to Yahuwah. On the eighth day you shall have a holy convocation, and you shall offer an offering made by fire to Yahuwah. It is a sacred assembly, and you shall do no customary work on it. 2 Now the Jews’ Appointed time of Tabernacles was at hand. This was the day after the the appointed time, the 22nd day – The Sabbath. How do I know this? Keep reading…. 58 Yahshua said to them, “Most assuredly, I say to you, before Abraham was, I AM.” 59 Then they took up stones to throw at Him; but Yahshua hid Himself and went out of the temple, going through the midst of them, and so passed by. Now as Yahshua passed by, He saw a man who was blind from birth. 14 Now it was a Sabbath when Yahshua made the clay and opened his eyes. The last day of the appointed time of Tabernacles is not the 22nd day. It is the 21st day. Count to 7 from the 15th day. 15 (1), 16 (2), 17 (3), 18 (4), 19 (5), 20 (6), 21 (7). The 21st day is the last day if the appointed time of Tabernacles. Not the 22nd day. The 22nd day is the Sabbath which matches exactly with what we find elsewhere in the Scriptures. Here the Scriptures is also showing that High days also occurred on the Sabbath, which also fits everything we have learnt thus far. The preparation day was the day before the Sabbath. Could a continuous 7 day Sabbath cycle even work? On the face of it, when talking about a continuous seven day cycle, it appears that it would work just fine. That is until you consider what would have happened to Noah’s family after the flood and realise that the weekly cycle is tied purely to the sun. What do I mean? If we were to suppose for a moment, that the repeating 7 day cycle is correct and the method of timekeeping using the moon is wrong, let us see how it effects they when they traveled. We will not even assume they are using a Gregorian Calendar. Just a repeating seven-day cycle. If a tribe of seventh day sabbath keeping Shemites moved from Ararat to the east (towards the rising sun) eventually they would come to a point half way around the world. Being seventh day Sabbath keepers they would keep track f the time. Let us say that for this example they had kept a continuous 7 day weekly cycle as the world does today. Due to the rotation of the earth and the fact that they moved towards the rising sun, once they reach the halfway point of the earth, they would be 12 hours ahead of the point they were at Ararat. Now consider that a tribe of seventh day keeping Japhatites which headed west (towards the setting sun). Being Sabbath keepers they would have also kept a careful track of time. Let us also say that this tribe also used continuous cycling weeks. A few years later upon reaching the same point occupied by the Shemites, who moved east, the tribe of Japhatites who moved west would be 12 hours behind. The two tribes would discover that they are a full 24 hours apart. This is not a result of them not keeping track of time, but rather a function that when one group travels east they travel ahead of the daylight and the group travelling west travels backwards into the night. The same thing is noted in the story “80 days around the world” by Jules Verne. The situation becomes even worse if they were to keep travelling east and west as by the time they reached their starting point again they would be out by not 24 hours, but 48 hours! This calendar system goes straight into todays calendar and shows it is based purely upon the sun, even the weeks. According to the Calendar system we are using today to work out the Sabbaths, both should be correct, which is not possible when using it. However, if they were using the time provided in the Scriptiures to base their months upon, as they came closer together there Sabbath days would also come closer together until they arrived at the same point where there Sabbaths would be upon the same day! Why? Beacause the moon regulates the the months depending upon where you are located on the earth. Yes this example is made up. However if you believe the Scriptures, this has in fact occurred. People travel in all directions. How has man attempted to overcome this? Adding a man made international date line. This video explains this topic very well. The choice on the day which you hold to be the Sabbath is up to you. I have just shown you information which I have found in the Scriptures. I have given you a perfectly good example of the problem people have with a seven day cycle tied purely to the sun. Am I worshipping Yahuwah on the wrong day? If I am worshipping Yahuwah on the wrong day, how can I change given this world is focussed upon a continuous 7 day cycle? These questions are definitely demanding ones. It’s up to you to decide on each. No one can make your mind up for you. If you come to the same conclusion I did about the Sabbath day however and then deny it, you will need to consider what you are doing to the fourth commandment. Previous Post: The thief in the night.